Located along the eastern base of the Rocky Mountains this trail linked the Santa Fe Trail at Bent’s Old Fort in Colorado to the Great Platte River Road at Fort Laramie, Wyoming. From Bent’s Fort the trail followed the Arkansas River to Pueblo, then north along Fountain and Cherry Creeks to the South Platte River, then downstream to Greeley, Colorado before making its way north to Fort Laramie. From near Colorado Springs, for 75 miles north of the South Platte River, near present-day Denver, there were three variant routes of the Trail. The oldest route, running closest to the mountains, passed along Fountain, Monument and East Plum Creeks. The middle variant, frequently called the Cherry Creek Trail, generally followed West Cherry Creek. The third route, also known as the Jimmy Camp Trail, lies to the east of Jimmy Camp Creek, rejoining the middle trail near present-day Franktown. As an important trade route for animal trappers and fur traders, a number of forts and trading posts were established along the trail. 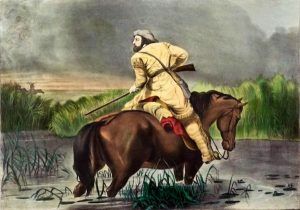 These included Bent’s Fort and the El Pueblo Trading Post on the Arkansas River, Forts Vasquez, Lumpton, Jackson, and St. Vrain on the South Platte River in Colorado, and Fort Laramie, Wyoming on the North Platte River. This old trail had been known since at least 1820 when Major Stephen H. Long followed it. 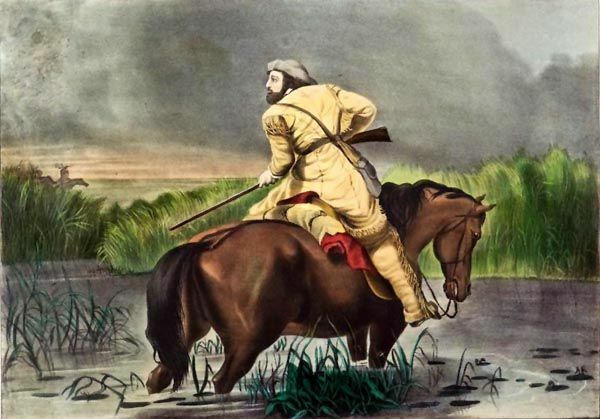 Subsequently, it was used by Colonel Henry Dodge and his Dragoons in 1835, Lieutenant John C. Fremont in 1842 and 1843, General Stephen W. Kearney and his troops in 1845. The road was extensively used during the Colorado gold rush of 1859. 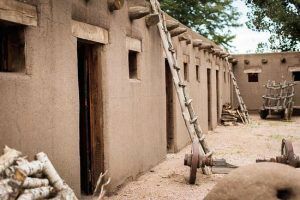 The Trappers’ Trail was linked with the Taos Trail that was situated between Santa Fe and Taos, New Mexico to Bent’s Fort in Colorado.